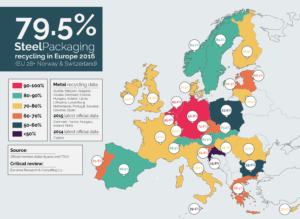 This new all-time high, representing data from 2016, means that for every 10 items of steel packaging put on the European market, close to 8 have been collected, effectively recycled and made available for the manufacture of new steel products. With an increase of 2 percentage points on 2015 data, steel for packaging’s recycling rate is pulling ever further away from that of other packaging materials. 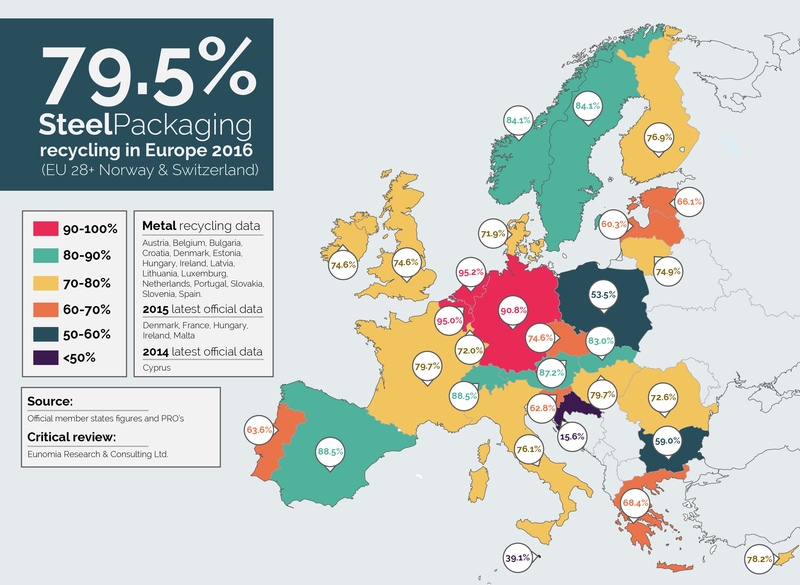 It’s a real example of circular economy and confirms steel as Europe’s most recycled packaging material for the 12th consecutive year. The methodology and data sources used by APEAL to calculate the recycling rate have been independently reviewed, audited and certified by energy and waste specialist consultancy, Eunomia. As a permanent material, steel can be recycled forever with no loss of quality. 80% EU steel recycling average by 2020 has been our industry objective since 2012 and to be so close to achieving it early is in no small part thanks to the combined efforts of industry, value chain and consumers across the EU.